Families often change when the pain of staying the same is greater than the pain of change. Hurt and anger are two frequent emotions experienced by families struggling to understand and assist a loved one with addiction. 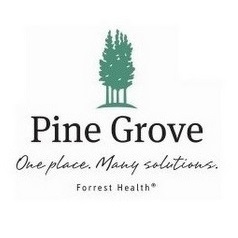 The Pine Grove Family Program is designed to facilitate and support family systems healing. By extending an invitation to family members, the identified patient is actually setting the stage for deep healing and curative systems change. Family systems recovery is a process very much like the stages of grief. Shock and denial are often the first stage followed by bargaining (trying to control), anger (sarcasm and passive aggressive behaviors), depression (overwhelming sense of hopelessness and helplessness) and eventually (hopefully)… acceptance. Recovering the sacred family bonds of respect, resilience, renewal, and intimacy require tenacity and courage. Breaking through denial, gaining awareness of the multiple faces of addiction, communicating with clarity and sincerity, and healthy experiencing and expression of emotions are all gifts awaiting those courageous patients and family members who make the choice to face their fears and change their lives. It’s interesting to note that our word “addiction” comes from the Latin word “addictus” meaning… attached to something. In a sincere effort to help the addict, many family members end up being over involved, feeling over responsible, and attaching to the false belief that they can somehow control or cure their loved one’s disease. These ineffective attempts to control can result in a sense of powerlessness, high levels of frustration or pits of despair. Well intended family members can actually “love their families to death.” I remember hearing a recovering addict describe how his mother did this very thing by years of enabling his alcoholic father. Sadly, this story is not unique to his family. We encounter a version of this scenario almost every week. There is true wisdom in the old saying, “An ounce of action is worth a ton of theory.” Most people instinctually resist change, but for those family members who make the commitment and find the courage, the gifts they exchange during their family week are life changing. Our talented Family Care staff is excited to help patients and family members as they shift from old patterns of blame and shame into the gifts of acceptance and healing.